KATHMANDU, July 27: Prime Minister KP Oli has come down heavily on some diplomatic missions and international and national non-governmental organizations for showing unwarranted interest in the formulation of new policies in Nepal. 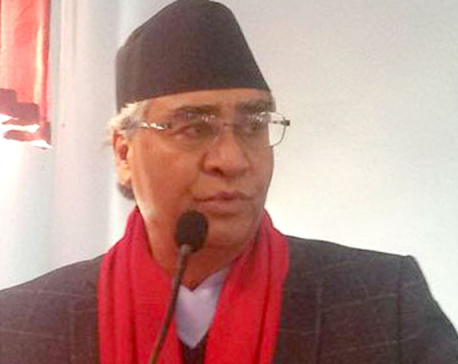 Addressing a function at Nepal Administrative Staff College (NASC) in Jawalakhel Thursday, Prime Minister Oli expressed serious dissatisfaction over the concern shown by the diplomatic missions and INGOs in the government’s preparations to introduce a National Integrity Policy. NASC is a training institute for senior bureaucrats. The remark by Prime Minister Oli comes in the wake of various embassies and INGO representatives expressing concern over some of the provisions in the proposed National Integrity Policy. The policy has also drawn international concern. Four UN Special Rapporteurs on July 11 criticized the proposed policy . In a six-page document, the rapporteurs argued that some of the provisions of the Integrity Policy would have a serious negative effect on the activities of civil society and restrict the freedom of expression and freedom of association. Oli alleged that the diplomatic missions had begun raising a hue and cry even through the government was still in the process of introducing the policy. “I do not personally know about the integrity policy. But NGOs, INGOs, and a few diplomatic missions have already been raising a hue and cry,” he said. The prime minister expressed surprise that the diplomatic missions and I/NGOs were reacting in this fashion even before the policy was implemented. “Why do foreigners have such an interest in a policy that is yet to be introduced? We do not tolerate such superior airs,” he further said. 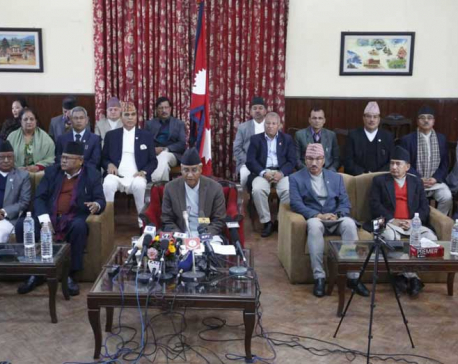 Indicating that the government would not backtrack from its decision, Prime Minister Oli also made it clear that unwarranted interest by foreigners in what were Nepal’s purely internal affairs was not acceptable to the government. “Nepal is an independent country. The Nepali people know how to move this country forward,” he added. Oli said his government is in favor of national unity with social goodwill. “We are not in favor of blind nationalism or parochial nationalism. Equitable and national unity with social goodwill is our priority,” he maintained.